If you’re wondering what is driving markets right now you’re not alone. 2018 has been characterized by a lot of noise and the pace of today’s news cycle makes it seemingly impossible for markets to fully digest current events before new ones crowd out yesterday’s news. Consider for a second that a US Government shutdown earlier this year barely registered as a blip with markets before being drowned out by the first volley of tariffs in what is now an escalating trade war with our major trading partners. 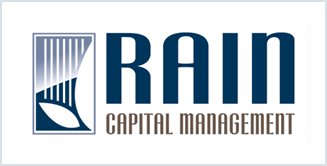 Distilling the most important themes affecting markets, we can point to rising interest rates, the threat of trade wars, the residual fiscal and economic effects of tax reform, and concerns over a global growth cycle slowdown. But even that is a lot to chew on. To understand how the market is interpreting these strong cross currents, we look to the market’s best ruminant of information, the yield curve. The yield curve is a plot of interest rates at different maturities, from the very short-term rates the Federal Reserve (the Fed) sets to as far out as 30 years, where rates are more determined by investor sentiment. The plot of these rates forms a curve that is both a snapshot of the market’s current perceptions of the state of the economy and, because it is constantly in motion as it incorporates new information, it is a living barometer of where the market thinks we are headed. 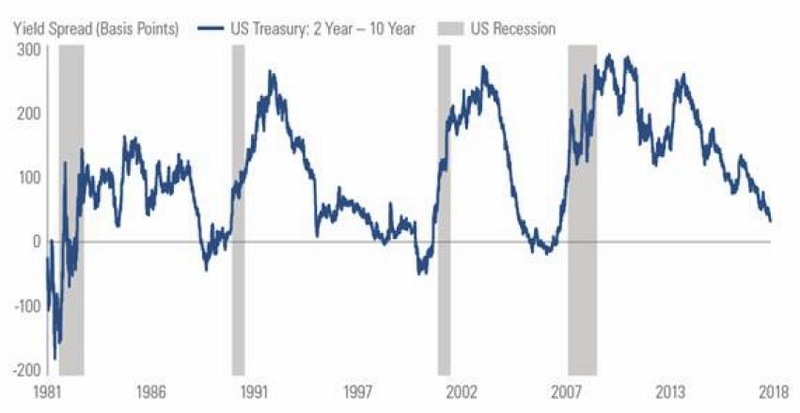 Most importantly, the yield curve has a strong track record of predicting future economic growth, inflation and recessions, having accurately forecasted every US recession since 1955, including the most recent “surprises” of 2001 and 2008. The shape of the curve can change as yields fluctuate in response to shifting economic conditions. In general, the short end of the curve is dictated more by the Fed’s interest rate decisions, while the longer end of the curve reflects investors’ expectations about the future course of inflation and economic growth. If the economy is growing strongly, the yield curve tends to steepen as investors grow concerned about inflation and potential interest rate hikes by the Fed. As a result, they might start to avoid longer-term bonds, causing their prices to fall and their yields to rise. When the Fed does raise interest rates, the yield curve tends to flatten as short-term yields rise and inflation expectations ease. However, if the Fed raises rates too quickly, causing short-term yields to rise above long-term yields, then the yield curve can invert. That’s when investors start worrying about a potential recession, as high rates put the brakes on growth and inflation expectations. Following the Great Recession, the Fed effectively flattened the yield curve by pushing short-term rates down and buying vast amounts of longer-term bonds to reduce yields at the longer end as well. Its intent was to dissuade investors from holding safer treasuries in favor of taking risk in other investments. In simple terms, this investment in higher-yielding corporate bonds and stocks stimulated economic growth. 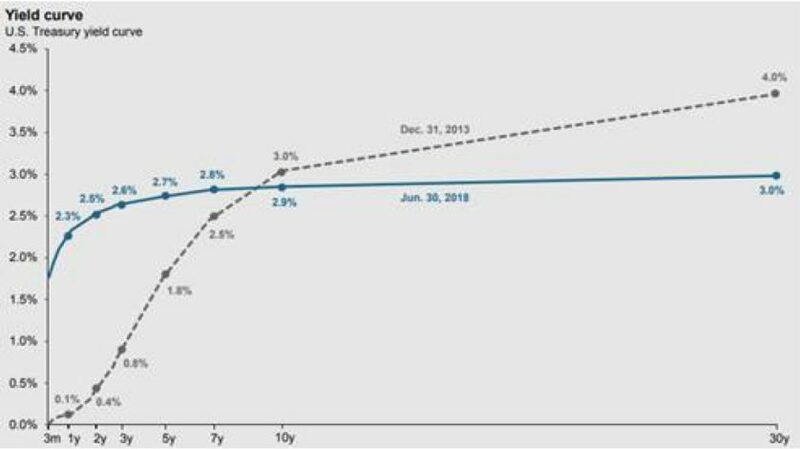 As the Fed began to step away from manipulating the yield curve in 2013 – letting natural economic forces drive yields – the curve began to steepen, reflecting the ongoing economic expansion. The process of a steepening yield curve can be perilous for bond investors, as rising yields negatively impact bonds’ prices. At that time, the likelihood of a recession in the following 12 months as measured by the shape of the yield curve was only 15%, but quickly shot up to more than 40% by November 2007. Today, that probability stands at slightly less than 13%, up from about 4% just six months ago.